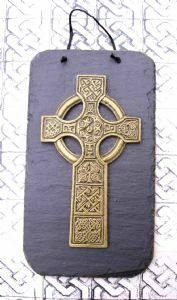 This Celtic Cross is a fine example of the carved high crosses found in Ireland around the 9th Century A.D. This cross is known as the North Cross and is situated in Duleek, Co. Meath Ireland. It is decorated with a range of patterns including maze and knotwork designs. 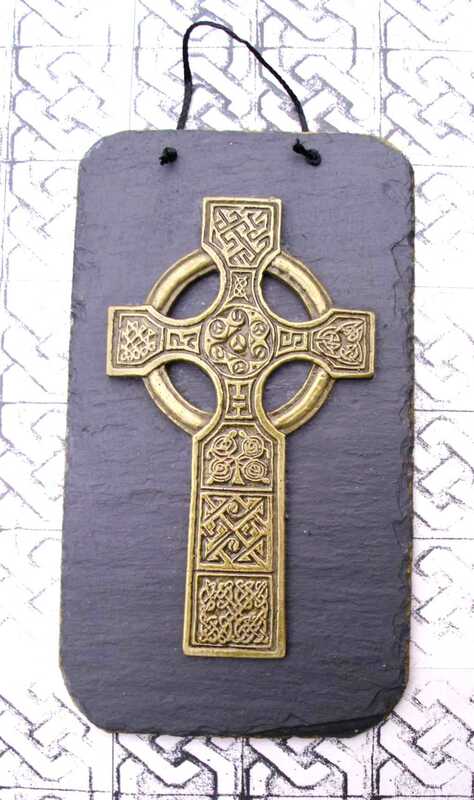 The Cross is coldcast in brass and is then carefully mounted onto a slate wall hanging plaque 200mm x 130mm in size. This is an iconic symbol of Irish culture and makes a perfect religious gift, for anyone with Irish or Celtic ancestry. To see another version of this Cross please click on the image below.